The 2012 movie year has offered several pleasant surprises at the local cineplex. “Safe House” is a high-octane action picture that keeps this trend going. 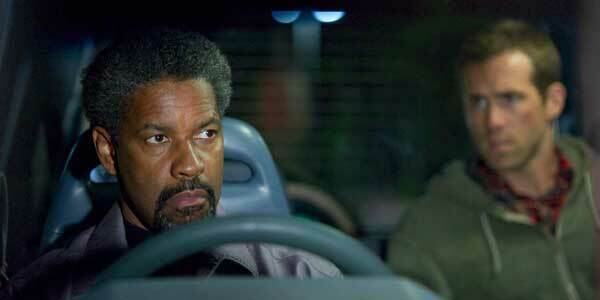 While I can’t say there is anything particularly fresh or profound about “Safe House”, what it does it does well. It offers plenty of gunfire, car chases, and fist fights while employing several familiar elements into its story. But it never goes beyond it’s intentions and for my money “Safe House” entertains. Denzel Washington plays Tobin Frost and ex-CIA operative who is now wanted by several international organizations including the CIA and MI6. After being leaked secret documents from an MI6 agent in South Africa, Frost finds himself on the run from a group of heavily armed contract killers. He flees to the American Embassy, a last resort, and is immediately taken into custody. He’s moved to a local safe house ran by a disgruntled Matt Weston (Ryan Reynolds). Weston has seen no action and has petitioned for a transfer from his boring position. As you can guess, that changes once Frost is brought into his facility. The mercenaries arrive instantly leaving Weston to take Frost and run. Most of the film focuses on the pair as they try to escape their pursuers while also toying with the question of “Is Frost a good guy or is he a bad guy”? As usual Washington nails his character and often times carries some of the scenes that would have otherwise fell flat. He also relays his character’s moral gray area with the perfect amount of ambiguity. He’s hard to read and I loved watching him and his story unfold. Washington never shortchanges his character whether it be Frost’s grit or his personal affections. Reynolds is also quite good and shows again that he is capable of handling better material (sorry Green Lantern). He lays it all out during the action sequences and He and Washington have a good chemistry. There is also a fantastic supporting cast including Vera Farmiga, Sam Shepard, and Brendan Gleeson. “Safe House” uses a grainy, gritty visual style throughout the movie and while it did take me a minute to get used to it, I found it really worked. The film features a lot of herky jerky camera work and is frantically edited which I’m sure is meant to capture the chaos and intensity of the action sequences. This works more often times than not but I can see where it may be a bit disorienting for some. There are a few instances where it tries to get too clever with the camera but not enough to hurt the movie. Overall it’s visually impressive and the sound design is stellar. 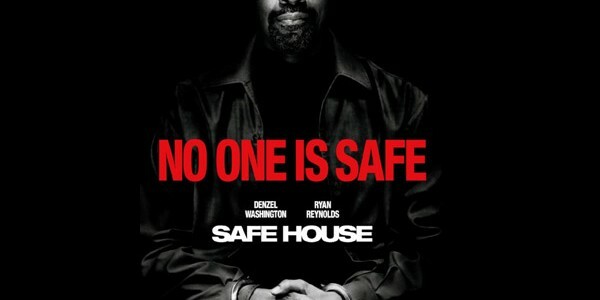 “Safe House” could be considered your standard action/chase picture and there is a good argument there. But I found myself interested in the international aspect as well as the “who can you trust” question that shows itself as the story unfolds. Washington has been consistently good in his career and he delivers a strong performance here as well. He can carry films like this but here he doesn’t have to. Reynolds holds his own and the strong supporting work helps make up for when the plot may not be as sharp. But I had a great time with “Safe House” and I don’t penalize it for aiming at a specific mark and hitting it. Sometimes a straightforward action picture is all I need. This entry was posted in Movie Reviews - S and tagged action movie, denzel washington, movie review, ryan reynolds, sam shepard, vera farmiga. Bookmark the permalink.